If you’d like to live a more vibrant life, free from pain and discomfort, we look forward to meeting you. 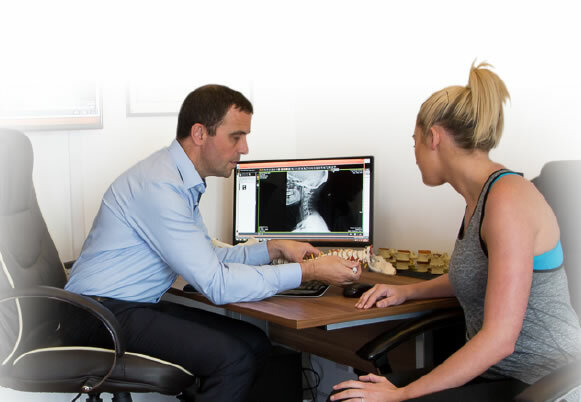 Naas Chiropractor Dr. Clive Dennis is passionate about providing his patients with noninvasive, drug-free health solutions. Since 1994, we’ve been delivering high-quality chiropractic care to those in County Kildare and North County Dublin. It’s been our great privilege to provide area families with excellent results. With Naas-Swords Chiropractic Clinics’s two convenient locations, Naas and Swords, you and your loved ones can get the care you need. Chiropractic is a healthcare profession that provides patient-centred, expert conservative care in the management of neuromuscular conditions that cause considerable pain and disability. These include low back, neck and shoulder pain and other musculoskeletal based injury and dysfunction. Chiropractic care is a multimodal approach that includes manipulation, mobilisation, one-to-one exercise advice and support in achieving a return to activity and normal life through psychological support and self-management skills. While chiropractic doesn’t treat any disease or condition, it’s used to determine if misalignments are present in the spine. Through corrective care, your body can function as it was intended to, free from nervous system interference. Improved function means that you can live a healthier life. It also allows you to enjoy all the activities in life you love, from gardening to golf to playing with your kids or grandchildren. Because he wants his patients to be as healthy as possible, Dr. Dennis routinely advises and supports them to make healthier lifestyle choices such as increasing physical activity and making smart dietary decisions. Discover for yourself the benefits of drug-free chiropractic care. Contact us today to schedule an appointment with Chiropractor Naas Dr. Dennis.